Reusable : It means you don't have to create a new instance of the barrier ( i.e, Countdownlatch cyclic barrier, Phaser) before reusing. Reusable that how it differ from CountDownLatch but all threads must wait for each party to arrive at the barrier. Phaser is a useful feature when few independent threads have to work in phases to complete a task. So, a synchronization point is needed for the threads to work on a part of a task, wait for others to complete other part of the task, and do a sync-up before advancing to complete the next part of the task. 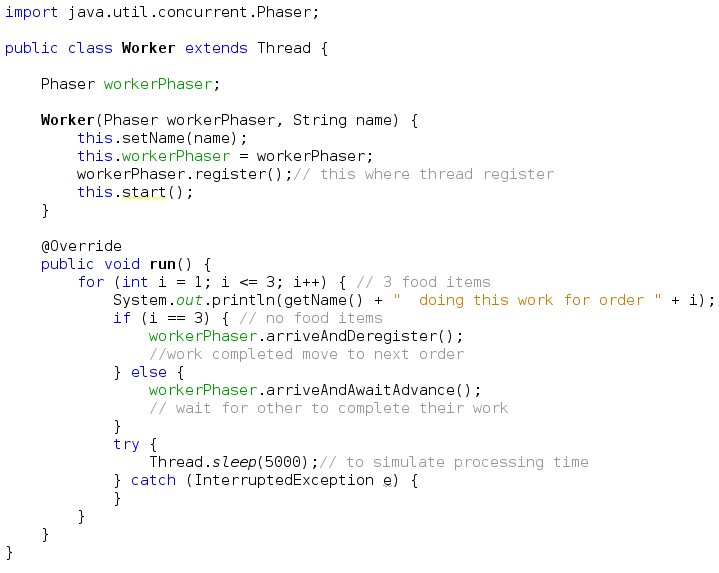 Before going for an example, have a look on how Phaser do the registration and Synchronization. There are also other step involved in Phaser such as Termination, Tiering and Monitoring, which we look later may after some time. Registration : Unlike the case for other barriers, the number of parties registered to synchronize on a phaser may vary over time. Tasks may be registered at any time (using methods register(), bulkRegister(int), or forms of constructors establishing initial numbers of parties), and optionally deregistered upon any arrival (using arriveAndDeregister()). Creates a Phaser object with a given number of threads (parties) to arrive to advance to the next stage; the initial phase is set to 0. Adds a new thread (party) to this Phaser object. Returns the phase current number. Throws an IllegalStateException if the maximum supported parties are already registered. Arrives at this phase without waiting for other threads to arrive. Returns the arrival phase number. Can throw an IllegalStateException. Same as the previous method, but also deregisters from the Phaser object. 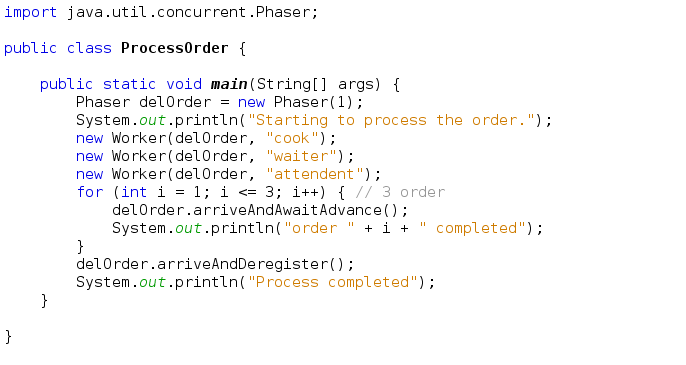 Waits (i.e., blocks) until this Phaser object advances to the given phase value. Returns the number of threads (parties) registered with this Phaser object. 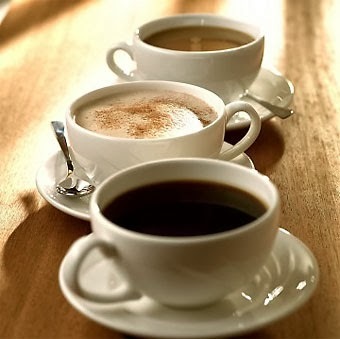 Let take an example of processing a delivery order in coffee shop. Assume there are 3 workers: a cook, a waiter, an attendent. To simlify this problem assume each delivery of order consist of 3 food items. Completing a delivery order consists of preparing the three orders one after another. To complete preparing a food item, all three workers—the cook, the helper, and the attendant—should do their part of the work. Starting to process the order.